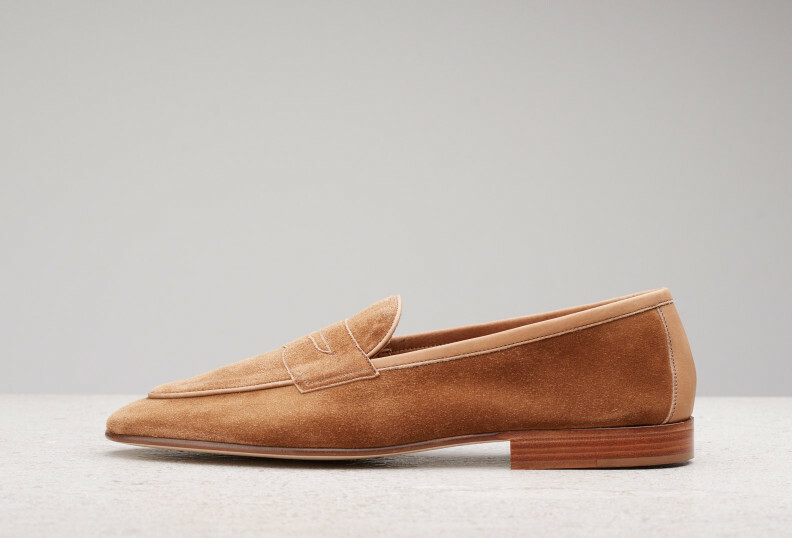 389 last — mace baby calf suede with flexible leather soles. 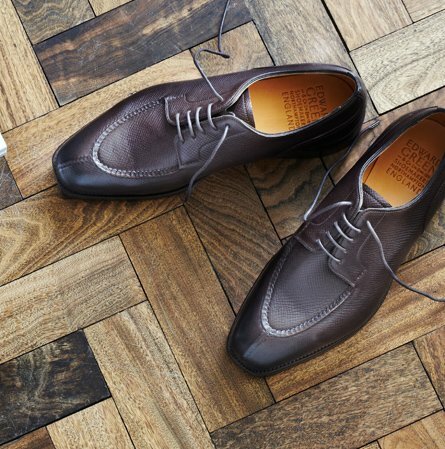 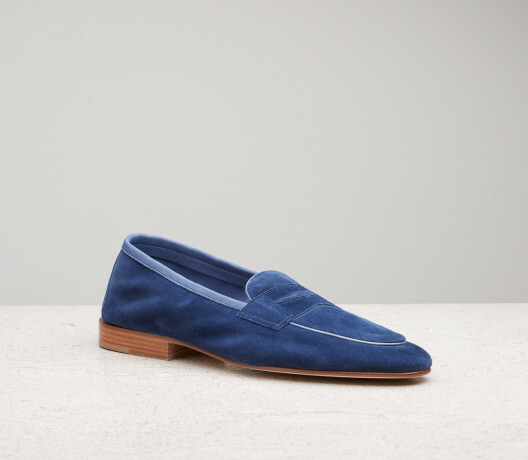 Made from the finest baby calf suede, the Polperro is a sublimely comfortable loafer. 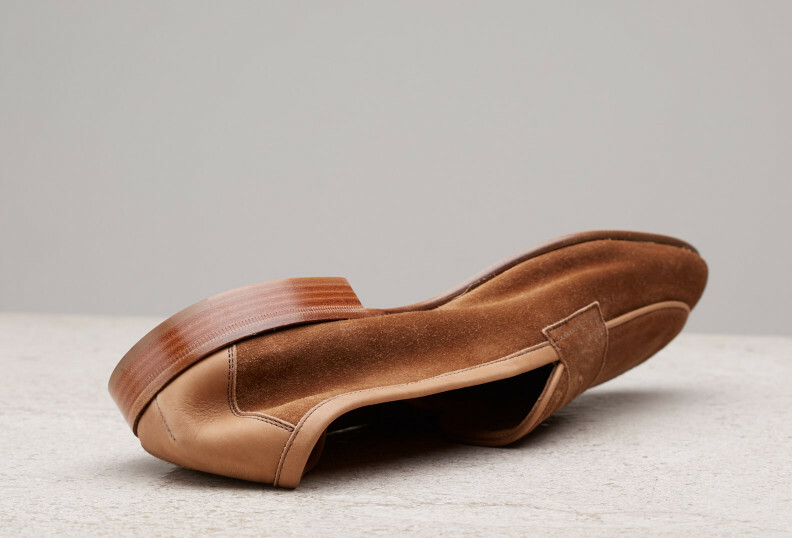 With its feather light sole it folds away to stow neatly in your travel bag and is ideal for wearing with shorts or chinos for a relaxed summer style. 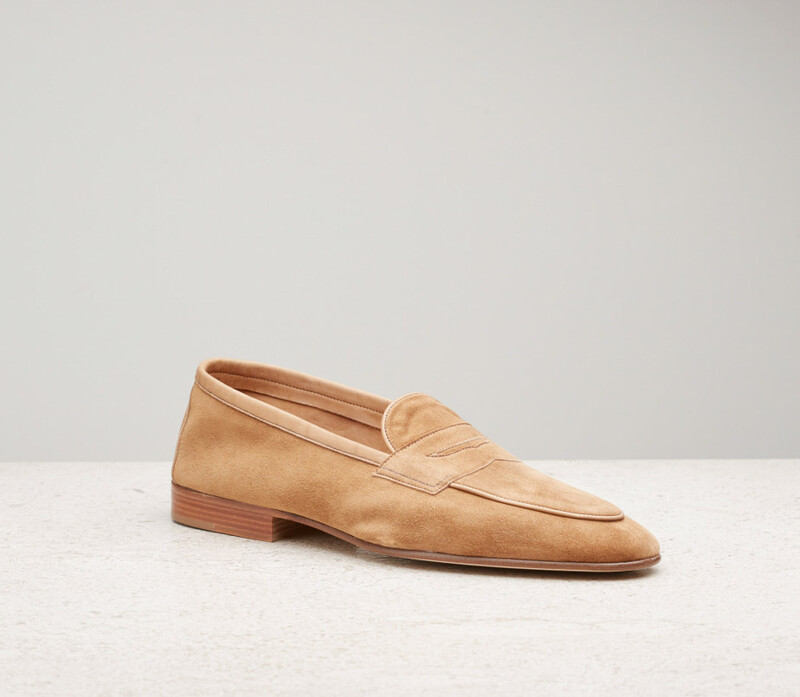 Mace baby calf suede. 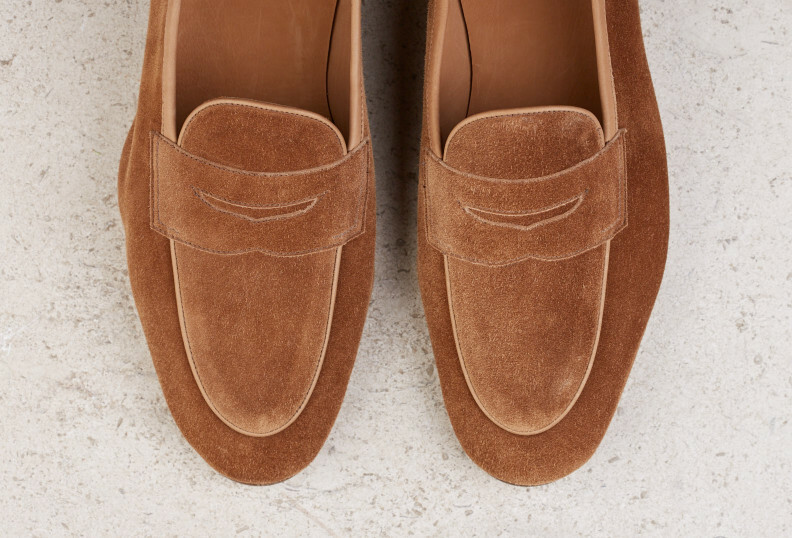 As soft and supple a suede as you can find. 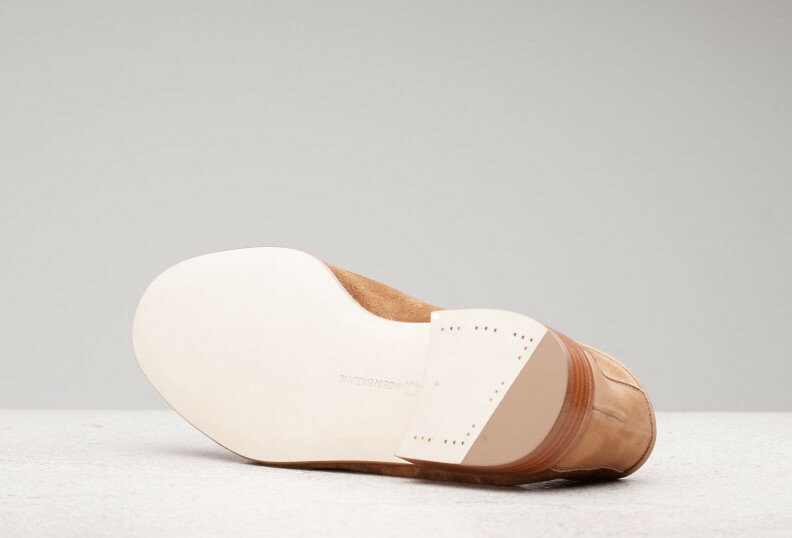 Our classic round-toed slipper last.